Castilla Books is a Canadian company dedicated to the distribution of learning resources in Spanish, offering the best quality materials in Spanish as a Foreign Language, education from K - 12. We also offer bilingual resources (English - Spanish), excellent literature, and support resources needed for classroom and library in Spanish. 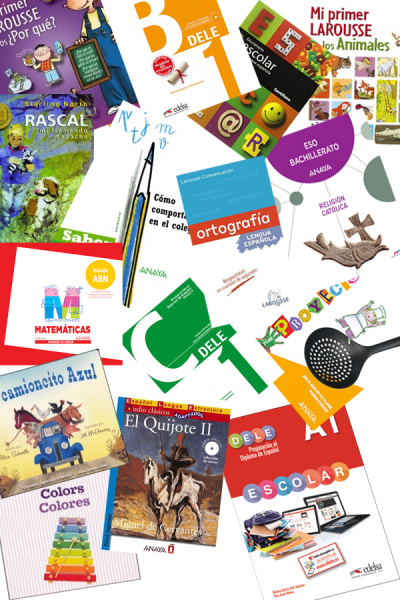 We work with major publishers related to the production of teaching materials and literature in Spanish. We strive in finding the best resources that support the teaching of Spanish in Canada. We know the Spanish learning system in Alberta, we have the experience of library management and we provide the best resources in Spanish. Be the reference of Spanish learning resources in Canada. Provide the best service and high quality products related to learning Spanish.